For heroes, a happy ending is not assured. When Aldan and Srilani return the heir safely home, they are greeted with coldness and suspicion. Rumors plague Srilani as she resumes her First Princess duties. Friends are few, and intrigue is around every corner. Who betrayed them before their abduction? Who is plotting treachery now? Enemies are everywhere, and Aldan desperately needs allies. Keeping his identity secret is essential, but the king is wary, his countrymen are hostile, and time is short. 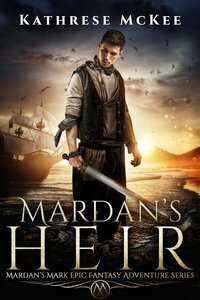 Read this thrilling installment in the Mardan’s Mark epic adventure fantasy series. "This was the kind of book I looked for as a kid and seldom found. It's exciting and keeps you turning the page."